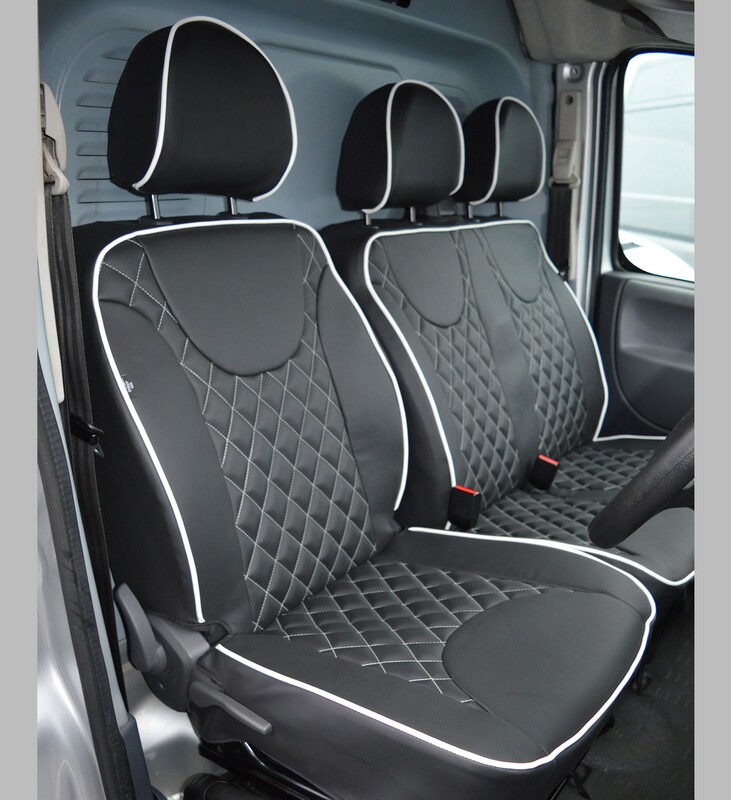 Peugeot Expert Diamond Quilted Tailored Van Seat Covers (2007 - 2016). These single diamond quilted seat covers bring a little bit of class and customisation to the seats within the Peugeot Expert whilst also provide great protections to the original seats underneath. The covers can be easily installed and won't move once installed correctly. - Piping & Single Stitching. Price stated is for the 3 seat covers pictured. You can change the colour of the materials as well as the piping around the edge to your own preference at no extra cost (excluding genuine leather). 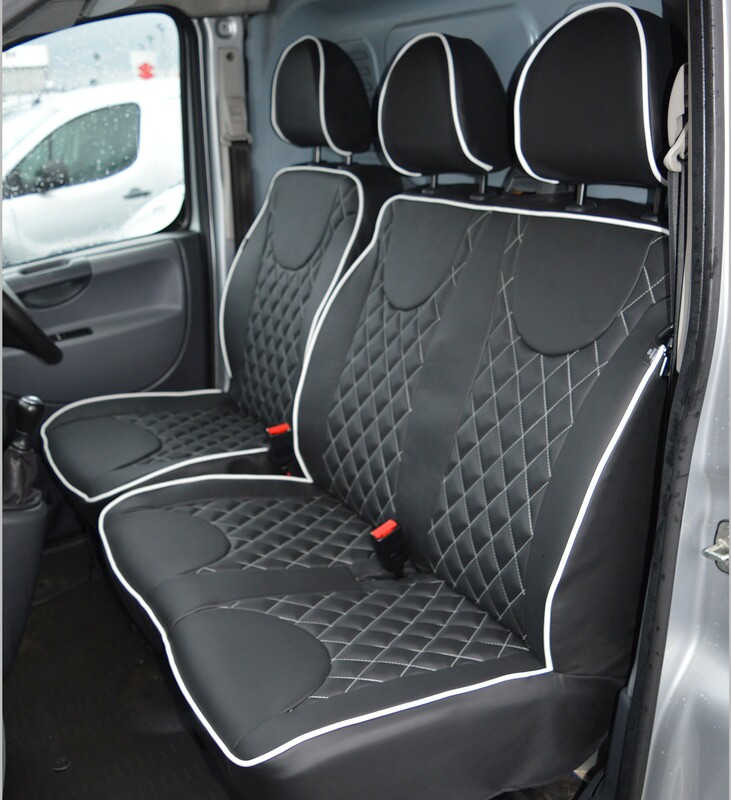 If you wanted the same seat covers then we can still manufacture them for you. These Peugeot Expert Seat Covers are hand made to order here in our UK factory. 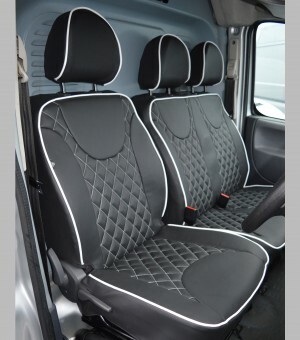 Tailored seat covers usually take between 3 - 5 weeks to manufacture and dispatch depending on demand. Please note we may require pictures of your seat in order for us to manufacture you the best fitting seat covers for your Peugeot Expert.